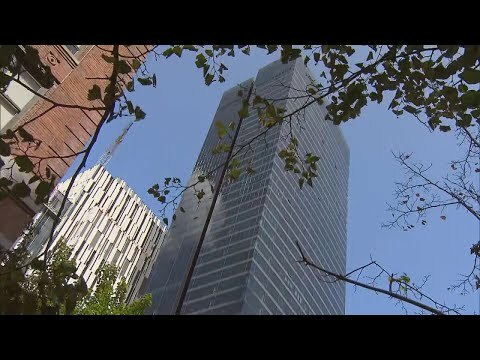 Residents of a luxury high-rise building on Manhattan’s Upper East Side are being terrorized by a sniper taking shots at their building. Police believe the gunman fired from Roosevelt Island across the East River at random on at least two different occasions. The first bullet, fired last Friday, hit an apartment on the 32nd floor. The second bullet, fired the next day, hit a window on the 14th floor. The shattered windows are now covered with plywood. Rents in the building start at $7,000 a month for a two-bedroom apartment.